Last week, I received a call from a frequent caller (who was terribly upset) to ask if I had heard that "they" had killed the two baby bears. He's not able to use a computer and has never grasped that few such atrocities can be reported in Canada without me hearing about it, many times over. The cubs, hyper-cute, had been featured on Twitter under the hashtag #sofreakingcute. They were photographed in a wheat bin, nestled in the grain while awaiting the return of mom. But, mom was found dead nearby. These were brown bears, popularly called grizzly bears in North America, and are listed as "threatened" in Alberta, where this happened. "They," in this case, refers to officials represented by the Alberta Division of Fish and Wildlife of the Ministry of the Environment and Sustainable Development. Think "oilsands" and pipelines. Yes, THAT Alberta. Then, the caller asked me a simple but powerful question: "How could they? How could anyone do such a thing?" What he does not know is that I have struggled with variations of that question all my life, back to when I did things I'd now never do, and can't really say why I did. Oh, we were treated to the usual disclaimer by a "senior officer" who said, "As of Friday morning, we hadn't found a zoo to take them, so unfortunately, they were put down. As much as that's distasteful for everybody involved, it was the best thing for these little gaffers." Of course, the "little gaffers" would not agree -- nor would anyone serious about conserving a species already provincially threatened, extirpated through much of its former range and, because of a notoriously slow reproductive rate, extremely vulnerable to endangerment. And really, is this "senior officer" so obtuse that he does not realize that zoos are not the answer? The fact is that the cubs should have been, and could have been, rehabilitated: a service few zoos can provide. This issue has come up before. 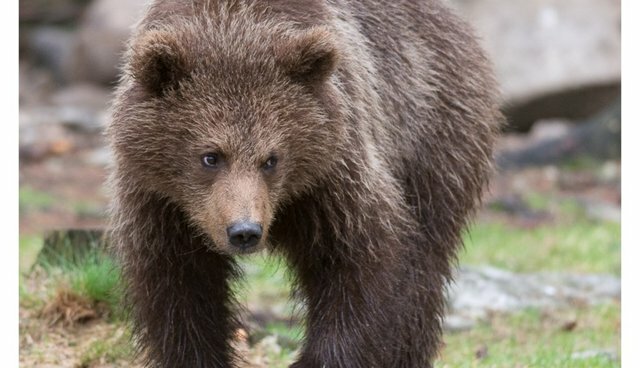 Alberta won't license bear rehab, nor allow bears to be "translocated" for release in other provinces (like neighboring British Columbia), even though people like the "senior officer" have opined that brown bears are increasing in the region because they were moving north from neighboring Montana, a very short distance away. Bears don't recognize political boundaries. We know that rehabilitation of bears works, because rehabbed bears have been tracked with radio-telemetry after release. Done properly, rehab does not make the bears more dangerous, or more likely to eat livestock, or more likely to damage property than their wild-raised brethren. But, my colleagues at Zoocheck went down that road with Alberta a few years ago, and they were firm. It was as if they hate bears and don't want any rehab... especially not rehab of rare species like grizzlies, who can interrupt their important oil, gas and other industries that exploit the environment to turn profits. Bears are in the way. We don't yet know what killed the mother bear, who had ripped open the steel door to the grain bin where her cubs were found. Of course, we are hearing that there are "too many" grizzlies. The entire Canadian population, extending over a vast area from the Alaskan border, to Manitoba, and from the Yukon south to the 49th parallel, is just a little more than a quarter of the number of humans living in the single Alberta city of Lethbridge: not even Alberta's largest city, and every person is using thousands of times more resources, renewable and otherwise, than any bear. To answer "How could they?" would take a book -- or two. But, put simply, we are the same species as the spectators in the Roman Forum, and the same species as the instigators of various horrific genocides throughout history and throughout the world. We are capable of horrendous, unremitting evil, as well as great goodness and kindness, and positive productivity. The short answer to the caller's question is "political expediency." Alberta is a province noted for the production of beef and of oil, and both have been singled out by scientists as major contributors to a future of catastrophic climate change (already manifest, including, ironically, in Alberta itself). But, the people who benefit from these activities are politically powerful. Big bears are in the way. The "little gaffers" never had a chance.